What's the Range of an Electric Motorcycle? 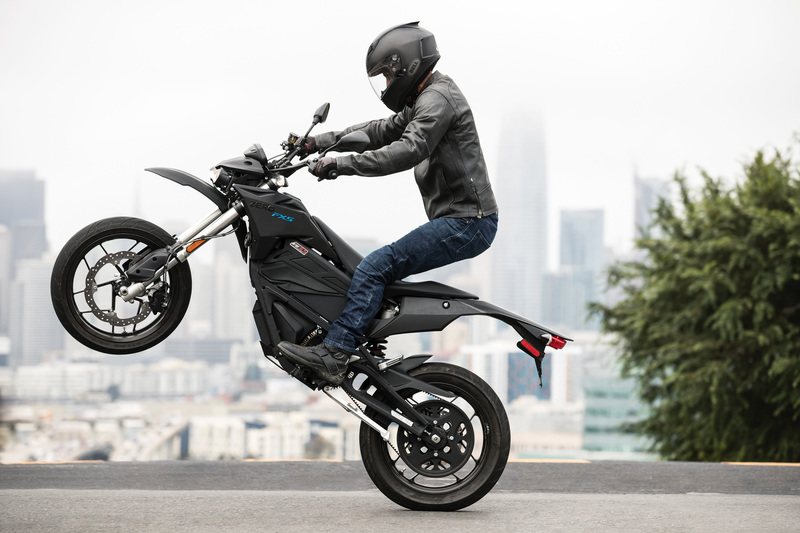 Trying to figure out the range of an electric motorcycle is like competing in an eating contest: You think you know the limits, but you’re never quite sure until you’ve gone too far. Nonetheless, we at Motorcycle.com are fortunate enough to have ridden many of the electric motorcycle offerings out there, and at the very least, this gives us a starting point when discussing the range you can expect from an electric. To go over the range of each electric motorcycle available today would be a daunting task. Instead, let this serve as a broad overview of what you can expect. The short answer to the range question, of course, is that it’s complicated. Manufacturers will claim one thing, but in reality, the mileage you actually get is vastly different. 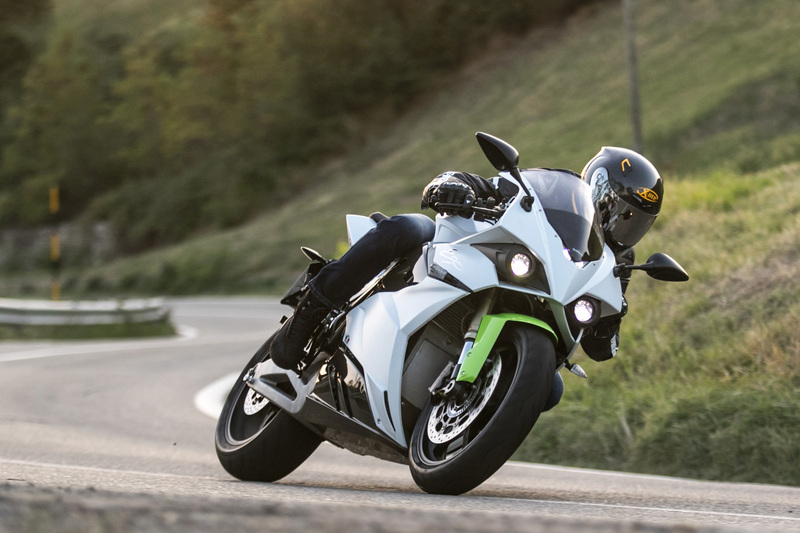 Companies like Zero Motorcycles try to be relatively helpful by listing mileage figures for certain riding conditions like City, Highway, and combined, but just as it is with internal combustion engines, your mileage may (and most likely will) vary. If you’re going to ride your electric motorcycle like this, then don’t expect to get very far on a charge. We can, however, draw some parallels with internal combustion engines. Ride with the throttle pinned everywhere, and that’s a sure-fire way to deplete your available electrons as quickly as possible. Conversely, if you ride like grandma, it’s possible you might even surpass the manufacturer-suggested mileage. Find a happy medium, and you’ll average out to what the manufacturer claims. However, the types of roads you ride on will affect your range, too. Sustained, high-speed riding, like on your average freeway, eat battery power quickly while low-speed traffic is ideal for maximizing an EV’s range. As a bonus, if you find yourself in plenty of stop-and-go, it’s also possible to add back a tiny bit of range, depending on the regenerative braking settings of the vehicle. Freeway riding is the enemy of range, as the constant call for electricity quickly drains batteries. But hopping on the freeway is simply a way of life for many. For numbers that aren’t from Zero, we turn to the 2018 BMW C Evolution. The urban mobility scooter, as BMW prefers to call it, is an excellent use for an electric as scooter riding encompasses the perfect scenarios for an electric. Here, BMW says the C Evolution can travel up to 99 miles on a charge. We never came close to that number, but could routinely ride 70 miles under normal conditions – as in, riding like we normally would any other motorcycle. 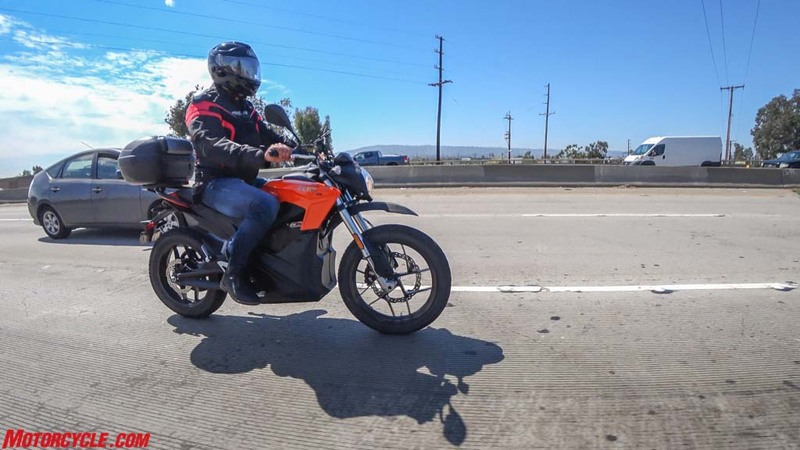 From what we’ve seen, electric motorcycle manufacturers aren’t trying to trick the motorcycling public about how far their motorcycles can travel on a full charge. In fact, being as accurate as possible gives the potential customer as much knowledge as possible for their purchase, and credibility is huge for the electric market, as the industry tries to fight for viability among many critics who have written off the technology. The availability of on-site charging opportunities at your destination can have a big impact on whether electrics are right for you, but for many – but not all – electric motorcycles have more than enough range for their one-way daily commute. Then the question becomes: Where Do You Charge Your Electric Motorcycle? 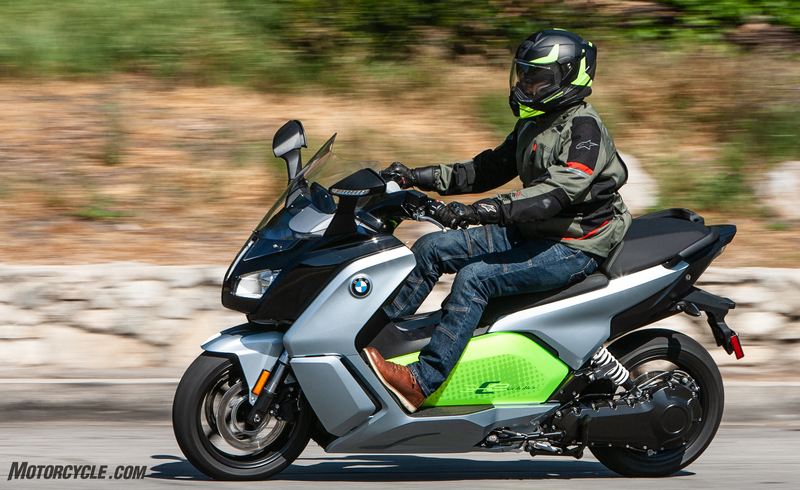 The BMW C Evolution, like many electric motorcycles, has a variety of ride modes to choose from. For maximum fun, be prepared to sacrifice some mileage.